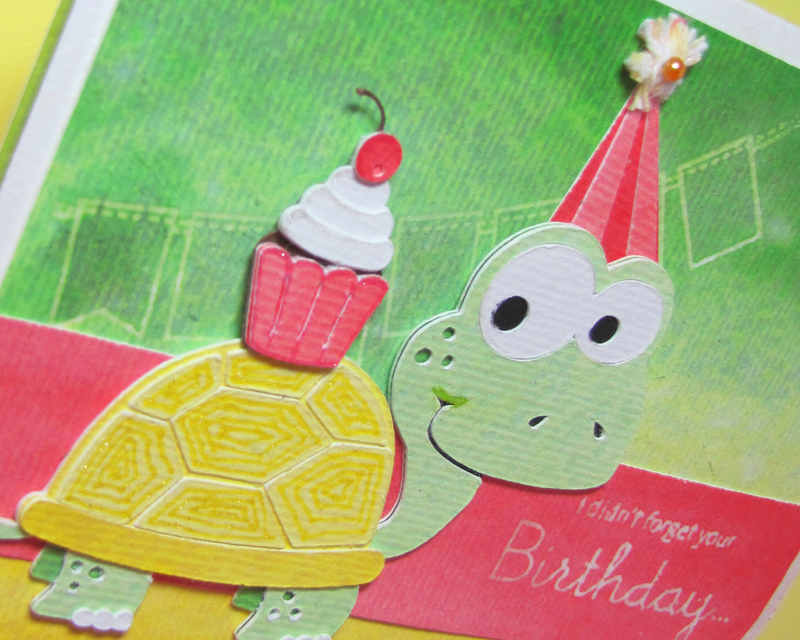 Pretty Paper, Pretty Ribbons, Pretty Cute Turtle! Hi! I’m so glad you’ve stopped by today! I’ve got the cutest way to say “I’m sorry that I didn’t get your birthday card and gift to you on time” to share here and on the Pretty Paper, Pretty Ribbons blog. I’m not good about getting cards into the mail. I make them personalized and really enjoy the process, but sending them is another story. 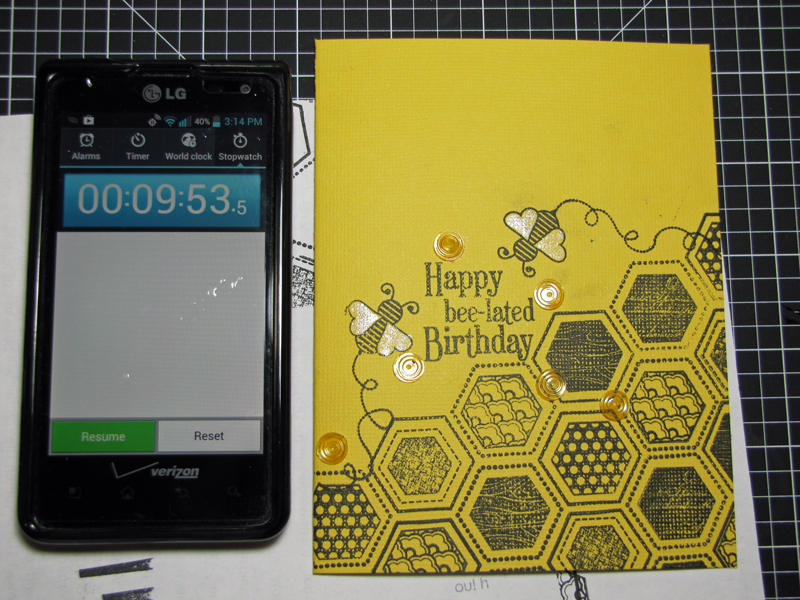 This card was created with water-colored paper which needed to dry and I knew that I wouldn’t have the gift made in time so I just worked on the papers and set it aside for cutting until the other day. 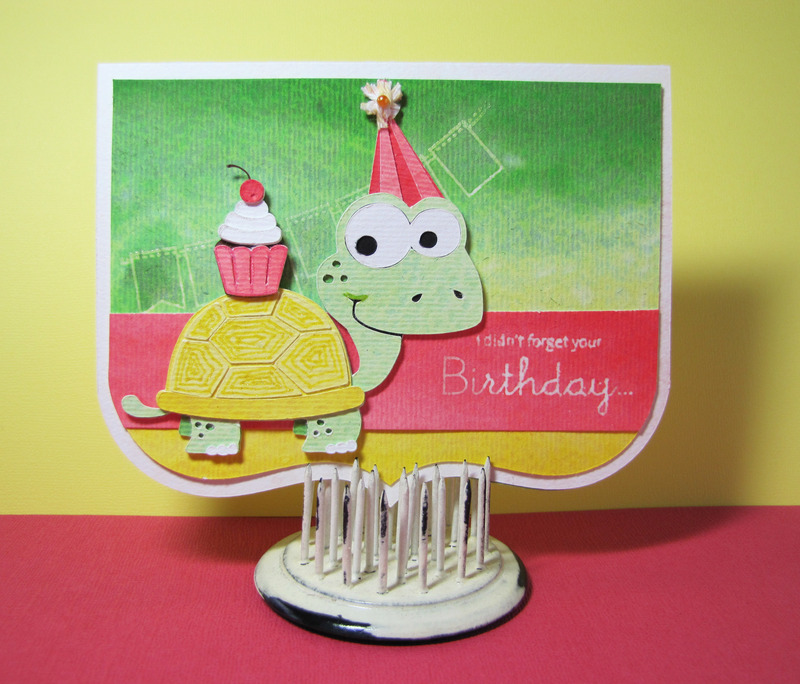 I just thought this sweet turtle would be the best way to deliver my belated greeting (inside it says “I’m just extending the celebration”). Wouldn’t you feel cheered up and appreciated if you got this cutie in the mail? I really felt that the turtle might take a long time to deliver that cupcake (it’s a long walk from Chicagoland to Minneapolis-land.) Now I think my next late card will need to be the elephant because he would never forget! 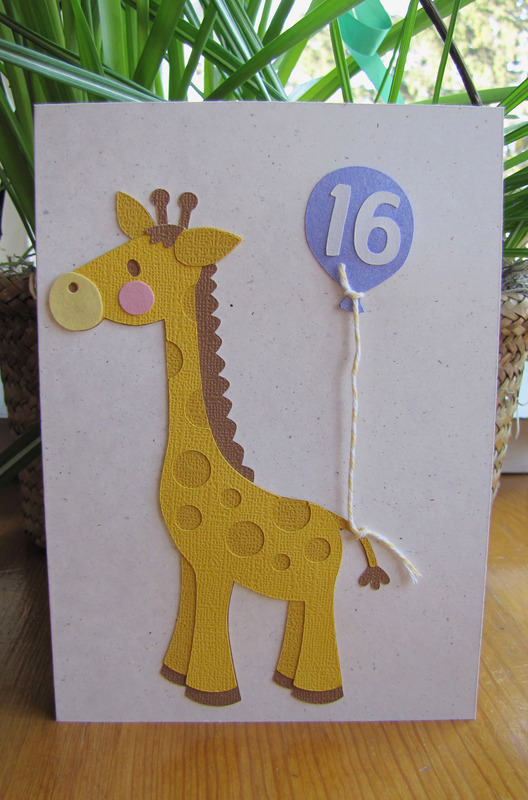 Oh, and that awesome card shape – it’s from the shop, too! 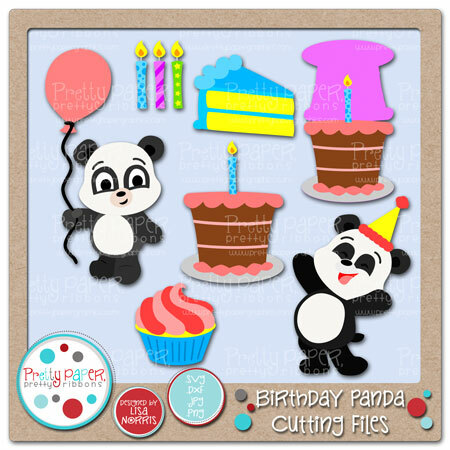 It’s the A2 Card Bases 1 Cutting Files. 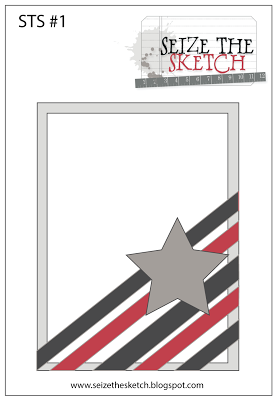 I really like a nice shape for a card base and a wonderful way to get my sentiment in was with the horizontal strip that’s part of the design! You know what this card would work for? The current Go Green challenge over on the Pretty Paper, Pretty Ribbons blog! 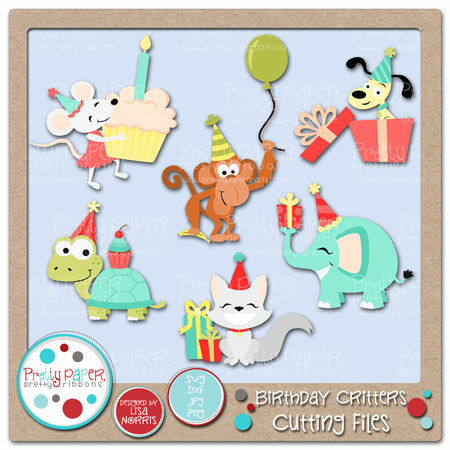 If you’ve got any belated birthday cards or just people who are celebrating and love cute animals, you could whip up a couple of these cuties, too! Check out the details for the challenge here! I hope you’re having a wonderful day and you’re able to get some happy crafting time in! As I’m writing this post up, it’s a very miserable cold, wet day outside and that works for me so I can create a couple more cards today! Take care. 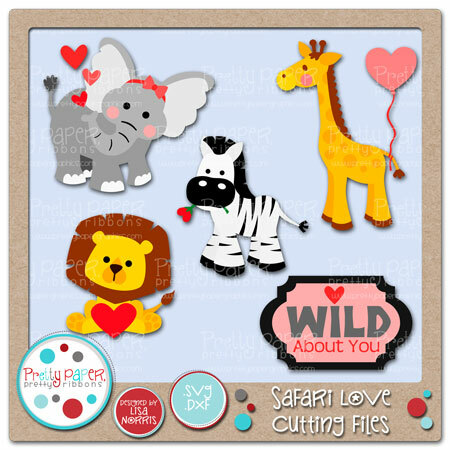 Thanks so much for visiting and happy crafting! 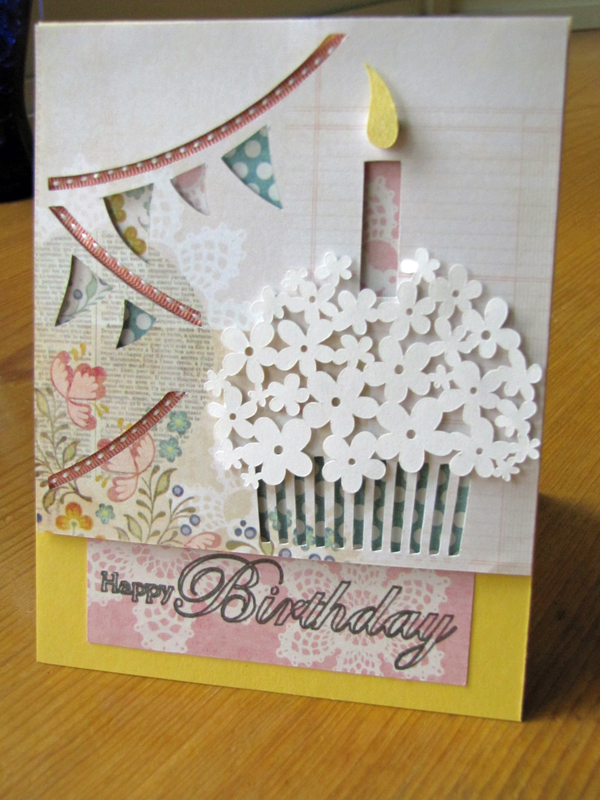 was really fabulous so I thought I’d use it to create a nice card today! Thanks so much for visiting! I hope you have a wonderful day! I’d love it if you left a comment to let me know you came by! Shhhh! Keep this a surprise! 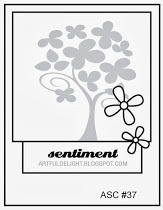 I’m in Summer Card Camp 2 at Online Card Classes http://onlinecardclasses.com/summercardcamp2/. There are lots of techniques, design tips, color combinations and challenges. I was lucky enough to have won a spot and am loving it! 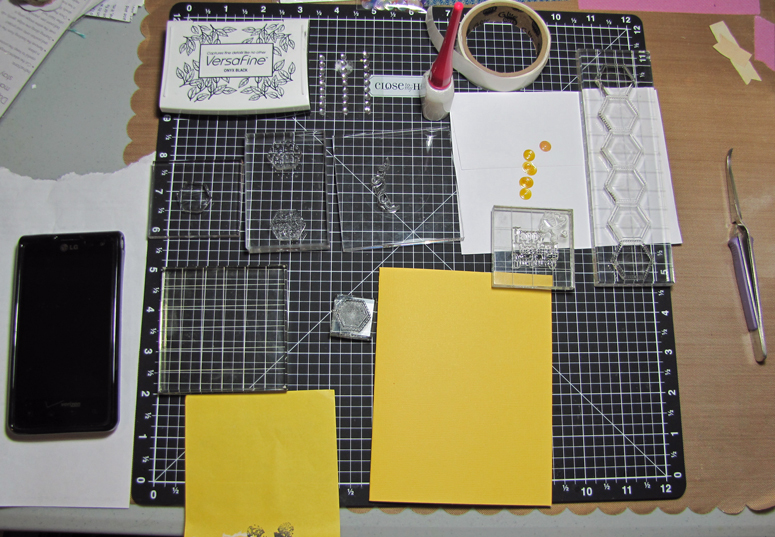 This week there was a great color combination, especially for making masculine cards, three great card sketches and then on day 2 there were so many different wonderful embossing techniques to try! Well, the wheels got turning and I came up with an idea for Scott’s birthday card (his birthday is the end of next week!) So, I want to post my card on my blog and into the gallery for the class in a timely fashion and hope that what I suspect is true – Scott doesn’t read my blog ;-)! You can’t show this to Scott until after next Friday, the 26th! 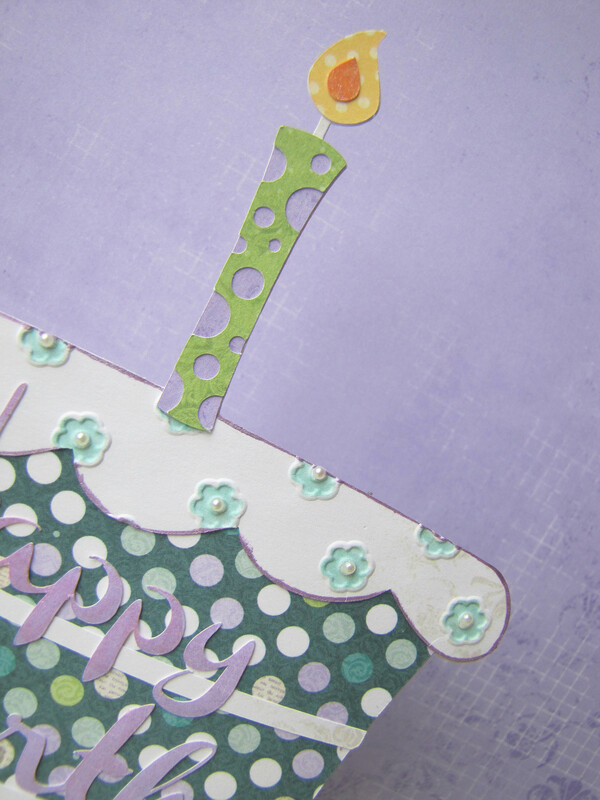 The embossing technique that Amber Kemp-Gerstel (http://damasklove.blogspot.com/) used takes different colors of embossing powder and creates an ombre effect. I don’t have too many colors of embossing powders, so I just used different colors of inks and clear embossing powder! Still a great effect, don’t you think? I used Close T0 My Heart cardstock in Colonial White, Crystal Blue and Cocoa, Papertrey Ink Around & About Sentiments and Big Birthday Wishes stamp sets along with CTMH Universal Backgrounds, CTMH pigment inks in Colonial White, Pear, Olive, Crystal Blue and Cocoa, Clearsnap clear embossing powder, Sakura Pigma pen, word bubble file from Silhouette by Jamie Koay and Scotch Adhesive. 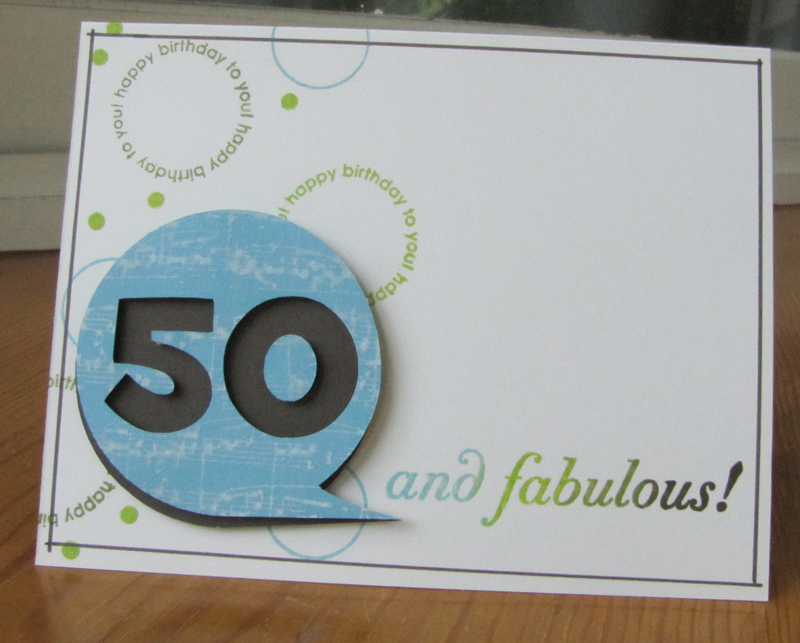 Not as ground-breaking a card as I’ve done in the past, but he’s wanting a fairly low-key 50th birthday, so I’m hoping this fits the bill for him! I hope you enjoyed! If you have any questions please feel free to post them in the comments section below and certainly any nice comments you leave will totally make my day nicer! Thanks for visiting today and remember not to share this with Scott! The birthday girl turned 14 on July 8th! 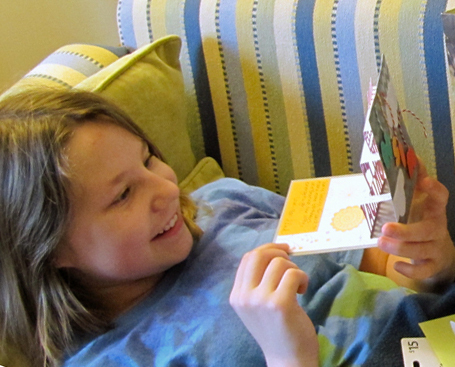 Here she’s enjoying a relaxing morning opening her cards and gifts from her brother and from Scott and I. To try and stay on topic just a little. Erin’s card this year was inspired by her fun spirit and love of rainbows, by the wonderful file I found at the Silhouette store for a pop-up many-tiered birthday cake on the inside and some fabulous balloons that spell out “wish” for the outside, some great papers that she seemed to like from CTMH and fun clouds that were SVG’s from Bird. 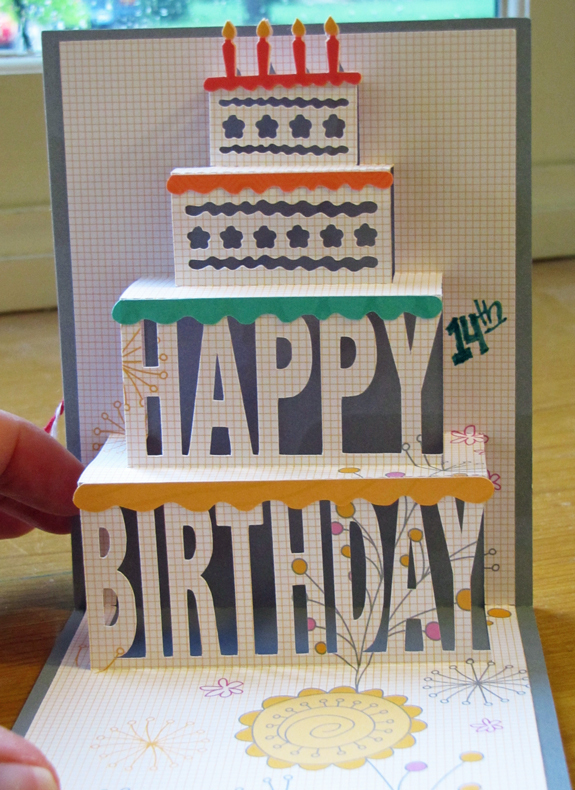 I loved the embossing on this paper! It added a fun bit of shine to balloons and background alike! 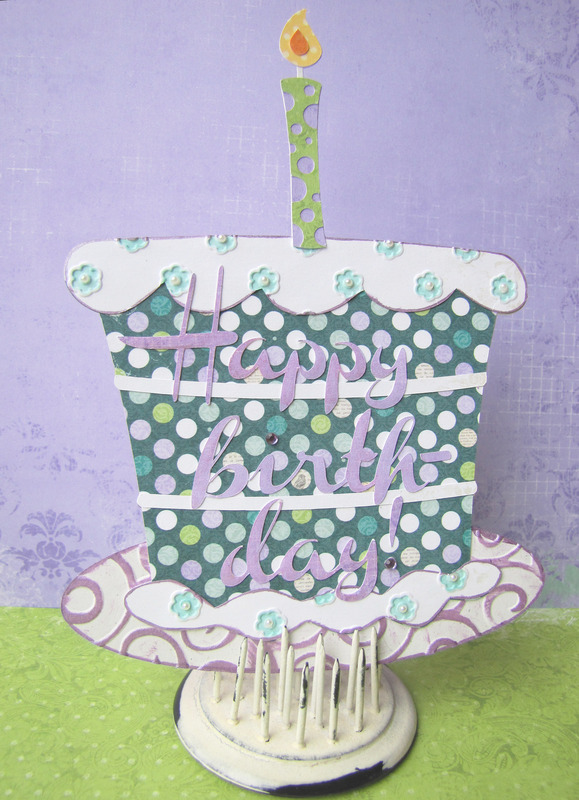 I won a spot in the Online Card Class Summer Card Camp 2 and the colors for this paper collection really worked well for the color inspiration this past week! The clouds are velvet paper from SEI – so very fun!!! I changed things up a tiny bit by cutting the candle top twice so I could get yellow flames. 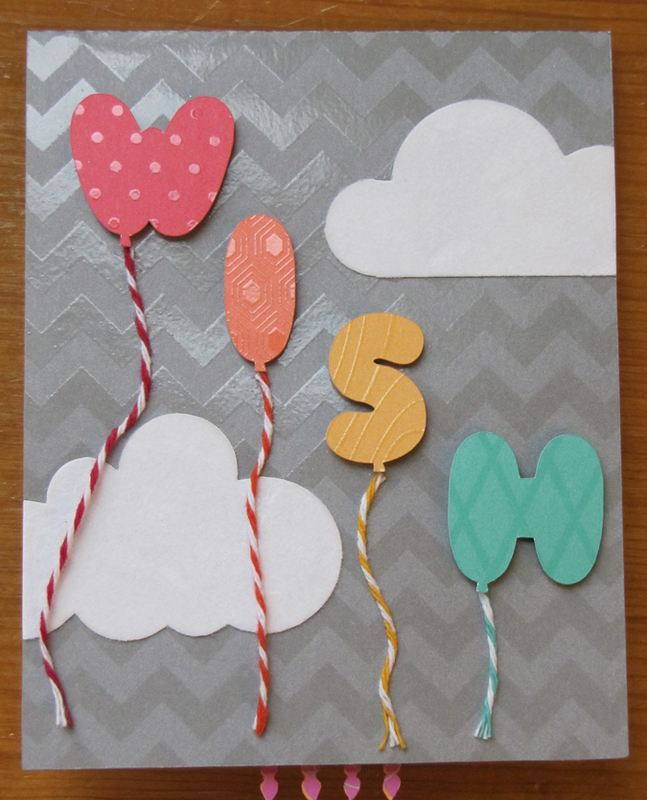 Fabulous details: All papers and marker are CTMH (Dream Pop collection papers), cut files are from the Silhouette store (Sweet Afton balloons and Rivka Wilkins pop-up) and clouds from Bird http://www.birdscards.com/, Twine from Twinery, Adhesive from Scotch, Tombow and Zig. I hope you enjoyed! I’m pretty happy with my daughter’s reaction (my family is usually quite sweet when they receive their lovingly created works of art!) Thanks so much for visiting!